Since 2008 the IT-TRANS takes place as international Conference and Exhibition in Karlsruhe every other year. 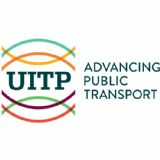 The IT-TRANS is organised by the International Association of Public Transport (UITP) in cooperation with the Karslruhe Trade Fair Center. 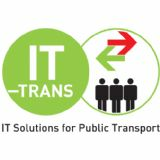 With more than 5,000 professionals visiting the Exhibition and 488 Conference delegates from over 60 nations as well as 210 exhibitors from 34 countries IT-TRANS is one of the globally leading events for intelligent public transport.